The way marketing video is measured today is hampering our collective creativity. In the quest for impressive business value, we’re holding ourselves back from wonderful things. Many businesses are unknowingly looking at video through legacy lenses—and conflating metrics, KPIs and ROI as a result. Think of each marketing video your business creates like a member of a soccer team. You measure the whole team’s performance based on goals scored and games won, but not every player is a striker. You wouldn’t measure your goalie’s performance on goals scored and declare them a waste of salary for not delivering—he or she serves a different, but equally valuable, role on the team. The same exact thought process should be applied to video for business, and yet I hear the constant refrain “we want a viral video” in my sleep. Marketers know that mentality is wrong, yet many cannot divorce themselves from thinking that bigger numbers mean better results. Stop and think about why we use video: It’s an emotional medium that allows us to say a lot, quickly. Done right it moves people and gets them to think differently. As such, video is a huge opportunity for any business, virality be damned. So how can we bust out of the framework that so many companies use as they approach all videos as equals? 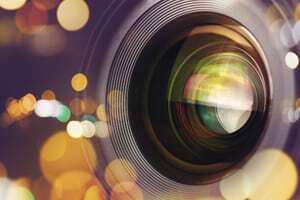 Here are some ideas to put into practice to make better a business case for video. First, I think basically everyone needs a quick refresh on what we’re talking about when we say metrics, KPIs, and ROI. Metrics are the things we can measure, items that a number gets put to. KPIs are ways which we define success holistically and ROI is attributable financial return. None of these things are like the other and when we misuse them it’s deeply problematic as we seek to make smarter and greater investments in video in the future. Metrics in isolation are meaningless—the danger is when we think they mean something when looked at on their own. Yes, they tell us how a given marketing video is performing, but without context the same metrics can’t be applied to two different videos. Just having more metrics doesn’t make you smarter or your content better. How did we get this way? I blame television. Thirty years ago, a brand ran a TV ad over a certain period of time, measured brand uplift from surveys, and tracked sales off the back of the campaign. Not to get too nostalgic, but those were the days when an impression was really an impression. We took this approach historically because it was literally the best we could do. Fast forward to today where an impression is nothing more than a page load, showing that a computer processed some content, but not that a human has. I like to define a modern KPI for video as a “meaningful impression”—one that actively drives value and moves a viewer towards spending more at a company in the long-run. How does one measure a meaningful impression? It’s not always easy. Marketers need to measure a combination of two things: did the video elicit an emotional state change and did it lead to a minimally viable conversion (MVC) or the next smallest action a viewer could take engaging with your brand? An MVC could be anything from visiting another page, to watching another video, or even brand amplification, by sharing or liking the content itself. I know what you’re thinking: how do you measure emotional state change? There’s no Facebook Insights or Google Analytics for emotion. There are, however, three really awesome solutions here (with three very different price points): Unruly ShareRank, Affectiva, and my personal favorite, Go to a bar/pub of your choice, and simply show your video to a stranger and ask what they think. This shift in thinking—to prioritize a meaningful impression—requires two clear practices before you start producing a video. What feeling do you want to elicit (the creative side of the house)? And, what’s the smallest next positive action a viewer could take (the marketing side of the house)? If you know these two things going into any project, you can improve measurement of its performance and that will lead to better creative, and more targeted videos that will pay dividends for your business. That brings us to the attributable financial return of video, or ROI. To be clear, ROI is a measure of “how much money did this video make us”, but does not track all business value. More effective ROI analysis leads to smarter creative investments. ROI is far more about future investment guidance than proving the value of the past, but that’s harder to practice than preach. This is where the power of the CRM comes into play. Tethering your video viewer data to your CRM will enable your business to connect video views to sales, customer retention, and much more. The data flowing from your video to the CRM is viewer-specific, which means results aren’t being pooled in aggregate – you’ll learn about each individual’s unique relationship with that video, which is a powerful tool for any marketer. 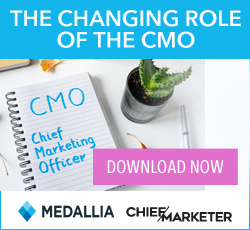 The Content Marketing Institute said it best: more than half of B2B marketers in North America say that measuring the ROI of their content marketing programs is their biggest challenge. Video is your most powerful content marketing asset. As we move forward, it’s crucial that businesses agree on what measure internally and what determines success. Phil Nottingham is a video strategist at Wistia.